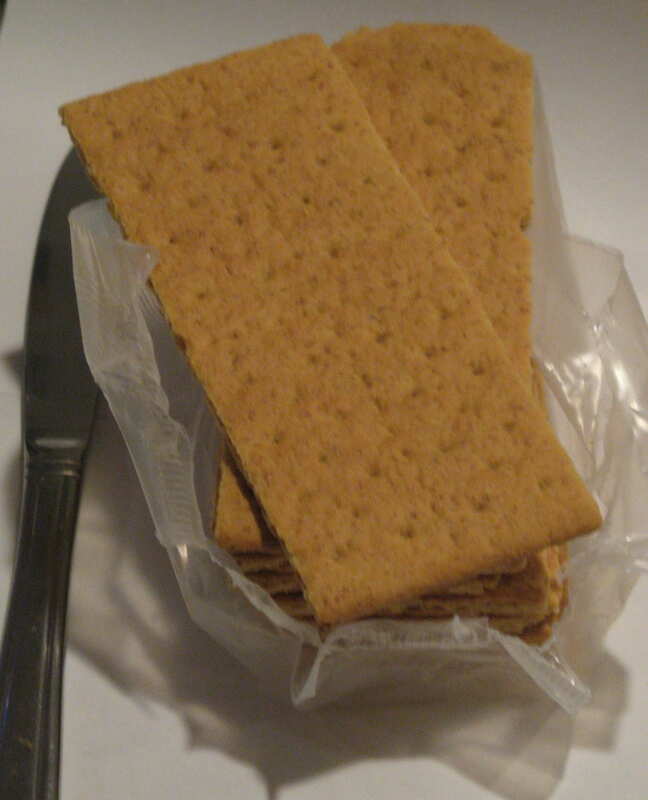 Even though Graham crackers are generally a healthy food choice, if they aren’t made with refined flour and a boatload of sugar, I am sure their inventor, Sylvester Graham, never intended for a 20 month old toddler to eat an entire box of them in one day. My ex mother-in-law, however, apparently required that much fiber in her diet every day to have a good BM, or (and I tend to believe scenario #2 – pun intended) she knew that if she let Steve-o eat the entire box as my punishment for asking her to baby-sit for one day, and then only because his sitter was sick and I could not miss work that day, that he would be a veritable fountain of feces for the next few days. Talk about passive-aggressive revenge. The morning after the Graham Cracker Overload, I go in to get Steve-o out of his crib. The entire crib and everything in it was covered in poo the color and consistency (but unfortunately not the smell) of peanut butter. It was oozing out of the leg-holes of his diaper. It was all over his t-shirt, smeared all over his face, caked in his hair, and to top it all off he just stood there covered in poo, laughing, with his arms outstretched, as if I was going to pick him up without wrapping him in a sheet, putting on some rubber gloves, or at least rolling him in paper towels or something. Since he had spent the previous day with the Wicked Witch, I had to wonder what in the flying thunder he had been eating, even though I sent his meals with him, lest she complain that his food requirements would break her food budget. This is a woman who inherited well near a million dollars from the estates of assorted dead relatives, but was so worried about food costs that she measured out food portions with a measuring cup. She did some other weird faux-thrifty types of things too, like wearing things that were not only threadbare and fugly but completely did not match, and refusing to replace the air-conditioner, even though their house was brick with no ventilation, and in summer their living room would be over 100 degrees (F.) She was downright mental. Anyone who has experienced the ghastly humidity of a Central Ohio summer will understand what I mean about no A/C. If nothing else one would think she would have come off the scratch to prevent her home from becoming an EZ-bake oven for three or four months out of the year. I should have known not to let my child anywhere near this psycho even though she is (biologically, anyway) his grandmother, but I was desperate, and just to be safe, (or so I thought!) I did provide his food. So after I hosed Steve-o down, tossed all his bedding in the laundry and scrubbed down the crib and mattress with Clorox, I was able to get him to his sitter and to work on time. I called up the Wicked Witch and asked her what Steve-o ate the previous day. I know good and freaking well she had other food items in the house besides Graham crackers, and anyone with any kind of common sense does not let a 20 month old toddler have a whole box of anything. I made a mental note to never, ever leave that harridan alone with my child ever again. It’s no wonder her son was so screwed up. The Feces Fountain kept right on going through half a box of diapers and two changes of clothes at the sitter’s. He didn’t seem ill- no fever, no bad attitude, just loads and loads of poo. I called his pediatrician’s office to ask if there was anything I could do. The receptionist put me on hold for a minute, then came back on the line, barely containing her explosive laughter. It was funny, alright. The Feces Fountain went on and on for the better part of a week. There wasn’t a diaper on the face of planet Earth that could contain that toxic waste from finding its way out of the leg holes and getting smeared everywhere that poo should never, ever, go. 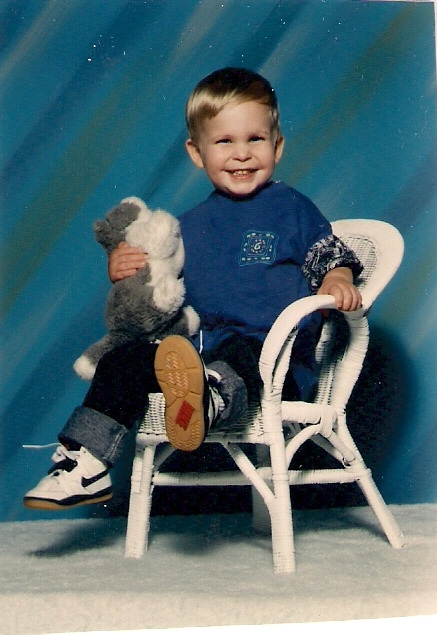 The only positive to this nasty little excursion through the shittier things of life is that Steve-o was potty trained very early on- for the most part (except for wiping and flushing) by the time he was two and a month or so. I’m grateful I haven’t seen the Wicked Witch in many years. I wonder if she is getting enough fiber in her diet. I wonder if she finally broke down and got the air-conditioner replaced, or if she’s still camping out in Walmart’s frozen food section from June until September to get cooled off. As if I care.